In our busy schedule Instant Messengers (Im) are the only way to stay connected with our friends, family members and also with business collaborators. Many of us use multiple instant messengers at once, some for business purpose, some for friends and family members etc. So, you need to change your status message in every instant messenger once you move out for some reason or get more involved in your other works. Eltima Im Away is a nice software for Macintosh that allows you to set same status to all or selected Instant Messengers ans also to post that in Twitter using hotkeys. 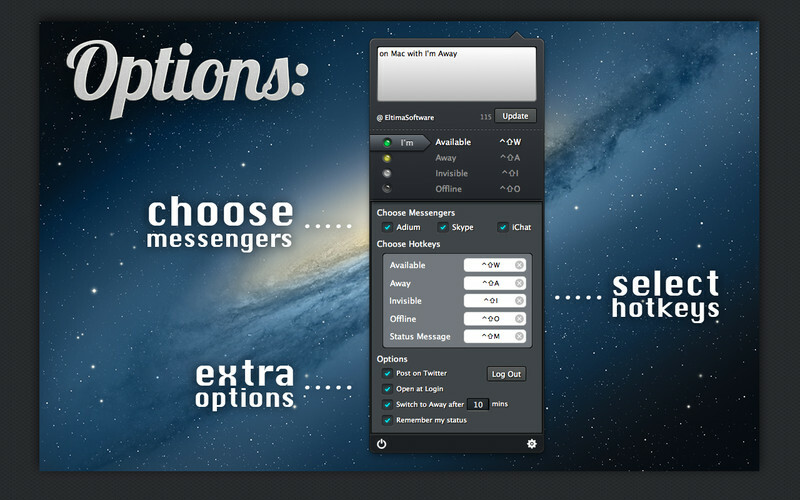 Currently it supports Skype, iChat / Messages and Adium as the instant messengers. Set status same message sImultaneously in Skype, iChat / Messages, and Adium. You can even write your own message in Eltima Im Away . You can choose among the instant messengers. You can set hotkeys for different statuses in Eltima Im Away . Eltima Im Away allows you to post status in Twitter. You can choose to launch Eltima Im Away at Login. You can set it to switch to Away mode automatically after certain minutes. Default is 10 minutes. You can set it to remember your custom status message on every launch. 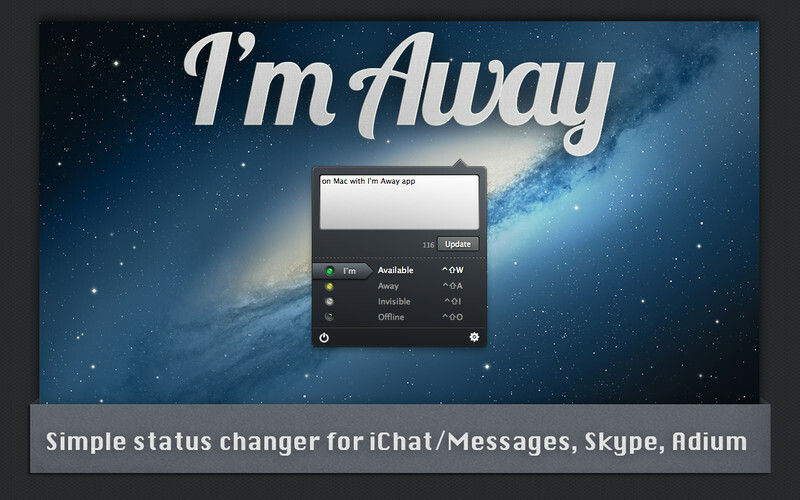 Eltima Im Away is avilable for OS X 10.6 or later in Mac App Store. If you are a regularly use multiple instant messengers, you need to try this put. Its free!! This entry was posted in Free, Macintosh, Social Network, Software and tagged Eltima.